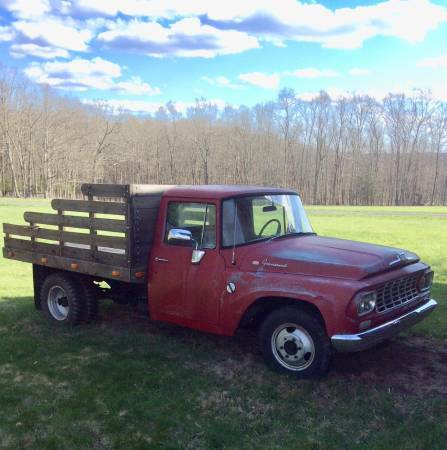 1962 International Harvester C130 1-ton flatbed 4-speed, V-8 truck with 51,588 original miles. I bought this truck as a project that I just didn’t have time to finish. The truck runs good. The belts, hoses, battery, and fuel pump have been replaced. The brakes have been worked on and the carburetor has been rebuilt. The truck needs the fuel fill hose replaced which I have already purchased. I have a clear title. $6000 cash.